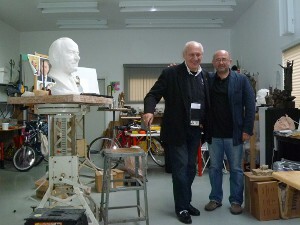 Academy President and CEO Dr. Thomas P. Rosandich (left) with Sergey Eylanbekov (right), the Academy’s 2004 Sport Artist of the Year, at the artist’s studio in New York City. United States President and CEO Dr. Thomas P. Rosandich recently visited the New York City studio of sculptor Sergey Eylanbekov. Eylanbekov, the Academy’s 2004 Sport Artist of the Year, recently completed the addition of a studio to his home and gave Dr. Rosandich a tour. In 2003, Eylanbekov’s sculpture titled, “Five Continents,” won the United States Olympic Committee’s Sport Art Competition and was then entered into the international competition. Competing against entries from 39 countries, Eylanbekov’s sculpture won the International Olympic Committee’s (IOC) Sport Art Competition for the 2004 Athens Olympics. This award marked an important career turning point and brought significant new international attention to Eylanbekov’s work.  The Academy is managing the U.S. Olympic sport art contest for its fourth consecutive Summer Olympics and is currently accepting original Graphic Works and Sculptures from American artists of all ages through Feb. 1, 2012. See the Academy’s website for the rules. Recently, Eylanbekov developed two solid bronze statutes of a man’s and woman’s torso. The Academy commissioned the pieces in honor of the marriage of Prince Albert II, Sovereign Prince of Monaco, and his new wife, Charlene Wittstock, who are both Olympians. The torsos are scheduled to be on display at the American Sport Art Museum and Archives (ASAMA) on Nov. 10, 2011, which also happens to be the 236th birthday of the United States Marine Corps.